It is an interesting crested form easily identified just by its small size, brown soft stems covered with white, downy areoles and minute spines. 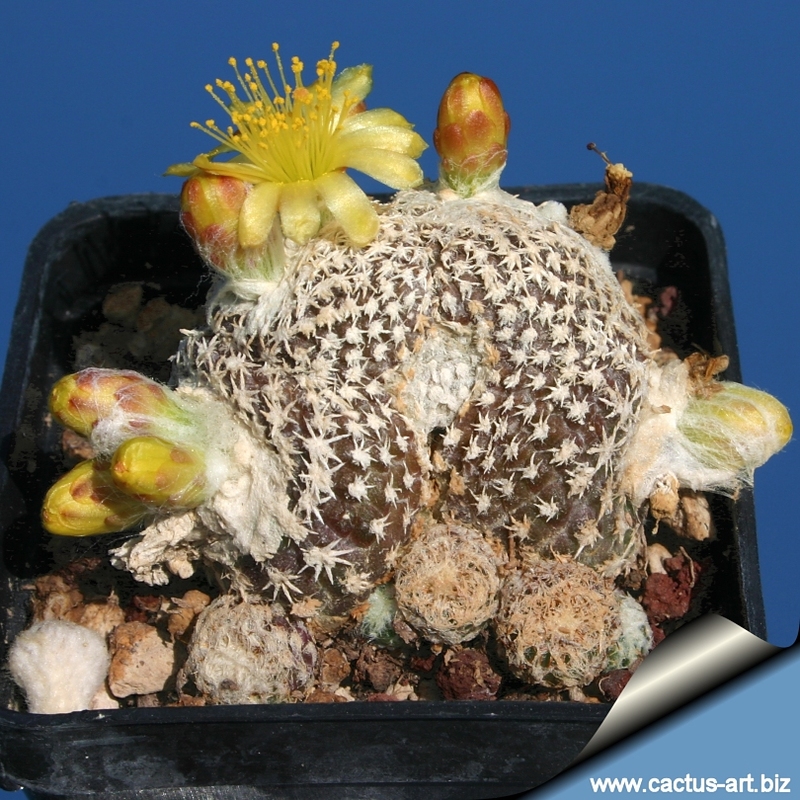 It is the smallest of the Copiapoa's and a very beautiful plant that will turn almost black in direct light. Stem: Grey to dark red-brown-grey, sometimes greenish or almost black. Line crest covered with whitish wool. Ribs: Small tubercles in vertical rows. 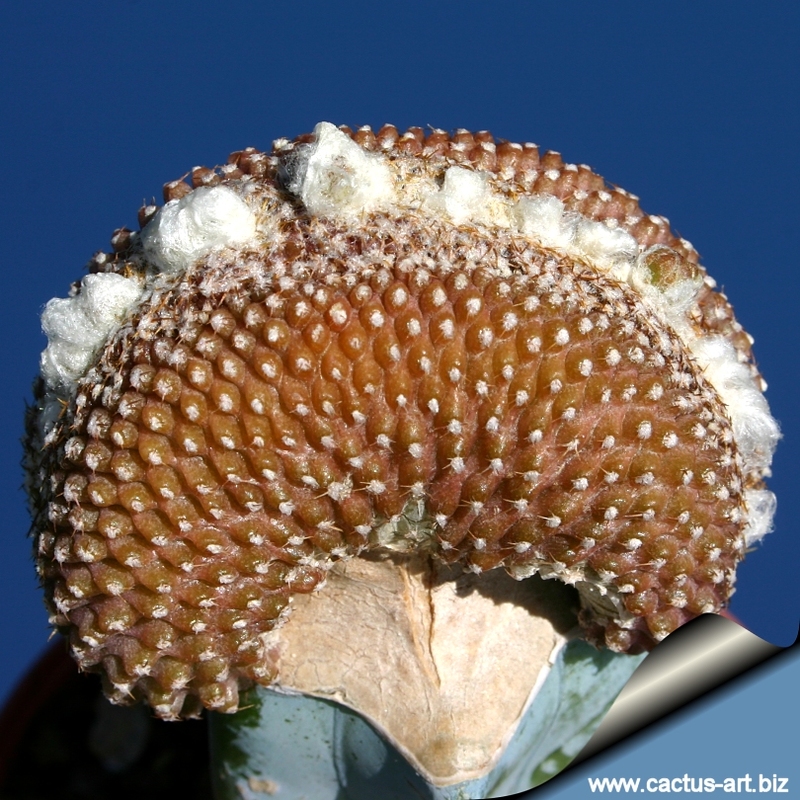 Radials Spines: 4 to 7 insignificant whitish to yellowish. Flower: yellow with reddish petal tips, short, wide funnel-shaped. Cultivation: Cultivation: Need full sun to part sun, should be protected from excessive heat and sun in summer. Needs deeper pot and excellent drainage to accommodate the tap root. 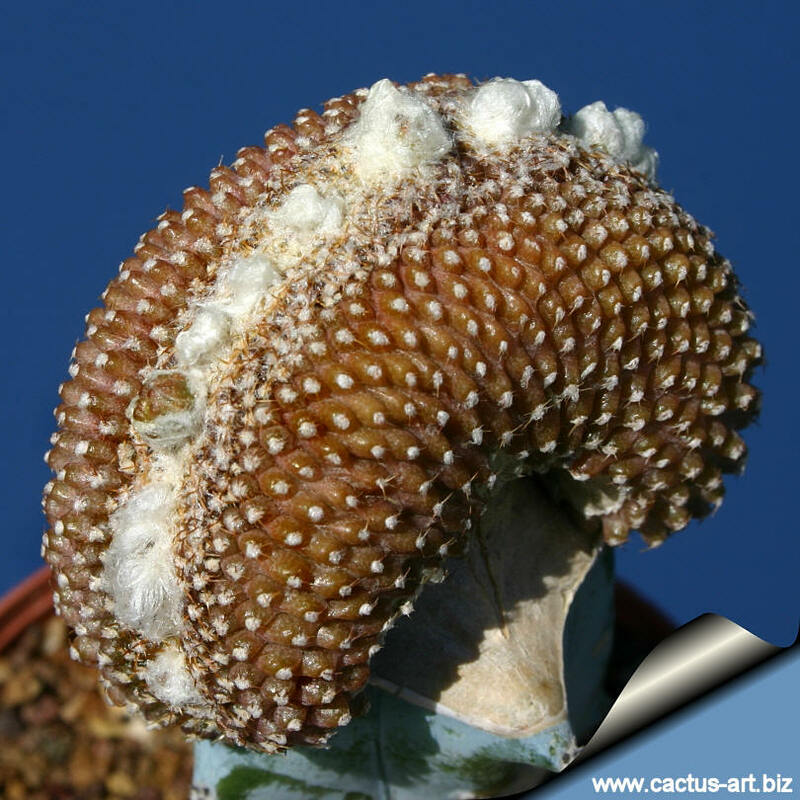 Keep warm and dry in winter to avoid rot. 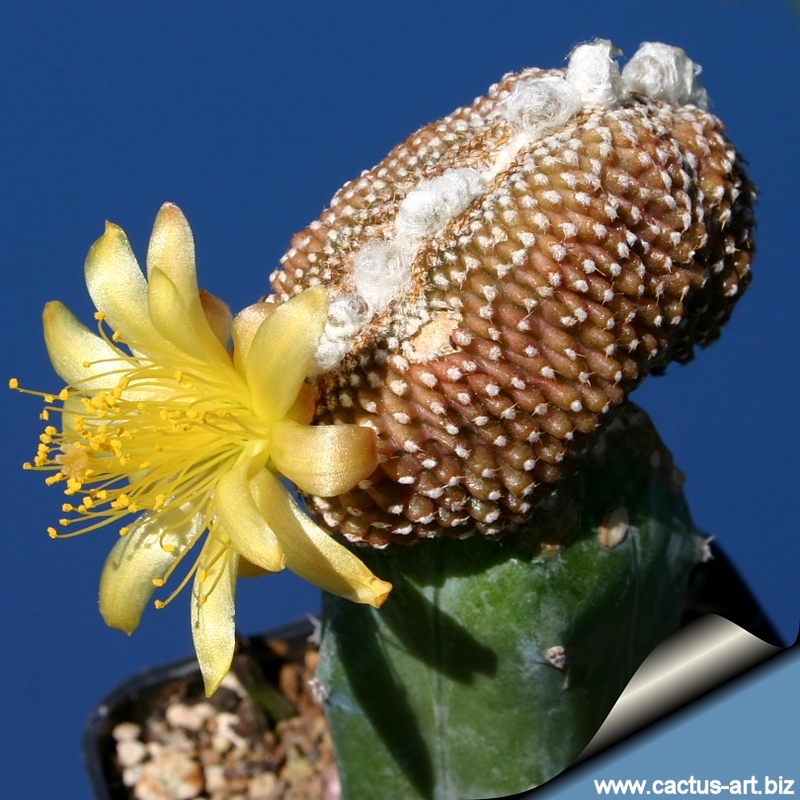 It needs mild heat in winter, avoid any frost. NOTE: The species name is frequently misspelled 'lauii' . The flowers are very nice too.